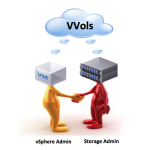 I had a very interesting query in my recent VVol post on vSphere HA interop. 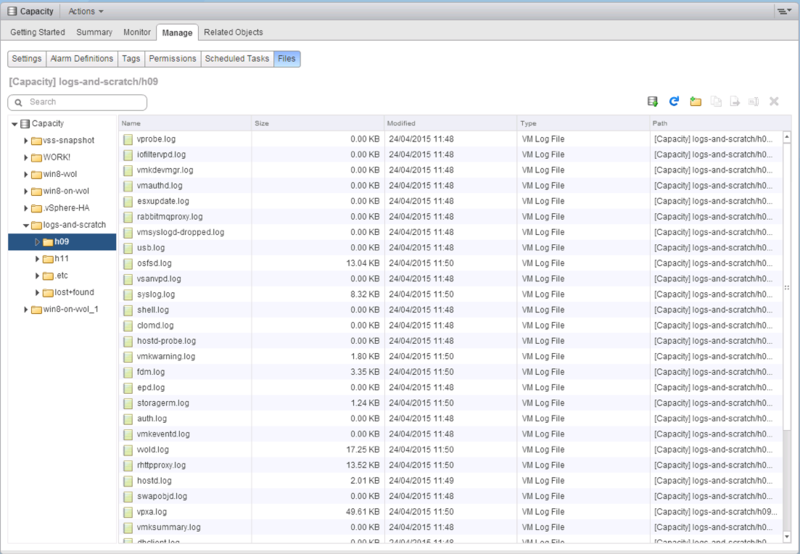 In that post I showed how the VVol datastore could be used for datastore heartbeating. The question then arose when the VVol datastore could be used for other things, such as a syslog and scratch destination. I couldn’t see any reason why not, but just to be sure, I tested it out in the lab. The quick answer is yes, you can use a Config-VVol for syslog, and no, you cannot use a Config-VVol for scratch. If you want to see the steps involved, and what happens when you do set a Config-VVol as the destination for these features, please read on. Once the folders were created, it was simply a matter of changing the Advanced Settings for syslog (syslog.global.logDir) on each of the hosts, and have them point to the folder on the VVol datastore. 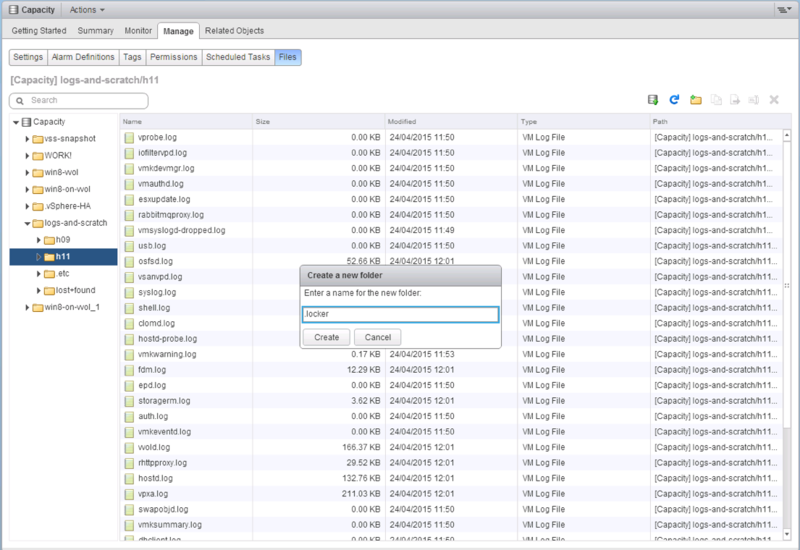 Once the changes have been made, we can immediately observe the log files from the hosts being created on the VVol datastore. Pretty simple to do, and it seems to just work. The next step was to set the scratch location on the VVol datastore. This follows the same steps as syslog, more or less. We will use the Config-VVol created earlier, which we called logs-and-scratch. In each of the hosts sub-directory, I created a folder called .locker, sticking with the scratch partition conventions. So it would appear that the VVol datastore is not available when we wish to use it for scratch. All the services needed to mount a Config-VVol (such as the VVol service itself, osfsd, etc) are not configured early enough in the boot process to use as a scratch partition. Hope this helps to answer the question. 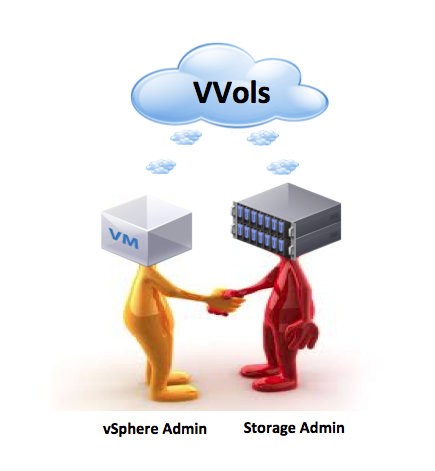 We are actively investigating what needs to be done to allow a VVol datastore to be used as a scratch partition by ESXi hosts. ← When and why do we “stun” a virtual machine? Is a config-vvol created is such a fashion still limiting to being only 4gb? Great article, Cormac. Thanks so much! I’m going to have to play around with this for kicks.